Are you an experienced guitar player or are you just starting out? Either way you’ll know that blasting your sound to the maximum while playing on your guitar can be the best feeling in the world. Your neighbors might unfortunately not feel the same way. That’s where choosing the best headphones for guitar amps comes in handy. Whether you prefer playing on an electric guitar or a bass guitar you’ll want to use the right set of headphones to experience your audio in clarity. And we’ve got some of the best on the market reviewed below. 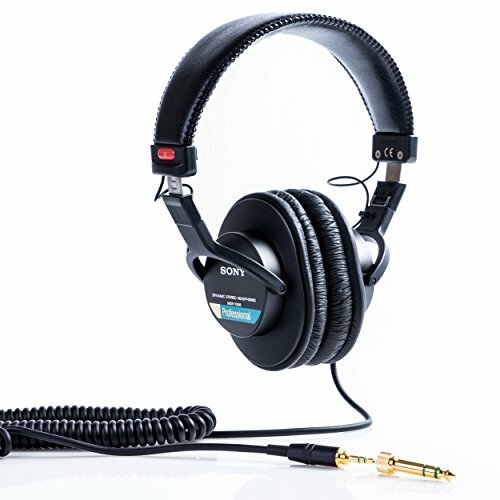 1 What Are the Best Headphones for Guitar Amp Practice? 4 So What’s the Verdict? What Are the Best Headphones for Guitar Amp Practice? When you’re looking for the best headphones for your guitar amp, you should keep in mind that it’ll be different from selecting headphones just to listen to music. Why is it different you ask? Produced music will give you subtle sounds whereas your guitar will channel a raw unfiltered sound. Practicing an electric guitar with headphones will give you the ultimate experience but you’ll need headphones with little to preferably no distortion. The best headphones for electric guitar players incorporate a strong bass sound to create true realistic sound. When selecting headphones for guitar practice be sure to select a durable brand that’ll be able to take even the loudest of sounds. Lastly, make sure you do proper research before you buy headphones. Browse through guitar headphone amp reviews to find out what other customers’ opinions are on specific headphones. To help you gauge the value of features and people’s comments, let’s talk you through the basics. Perfecting the art of music can be an exciting experience. But would you agree that it can also be daunting with all the options available? Familiarize yourself with the features you’d want your headphones to consist off before you start shopping. When it comes to headphones for amplifiers, quality is key. Why? You’ll be using them for long periods at a time on high volume – that’s why you want headphones in the first place right? Selecting the best headphones is important as you’ll need to hear what you sound like when you’re practicing. If you’re going to select poor-quality headphones you might sound better or worse than you actually do. Not ideal when you want to perfect your craft, right? If you’re looking for headphones for amplifier electric guitar purposes make sure you select the correct frequency. A frequency range such as 15 Hz-25,000 Hz should work perfectly fine. They don’t have to cost you thousands of dollars. Some of the best-rated headphones for guitar amps are actually reasonably priced. You might pay more for noise-canceling headphones and guitar wireless headphones. Although they both offer some great benefits, these features aren’t always a necessity. In short: Make sure you select quality headphones that’ll produce quality sound. If you have to pay a little extra for that then go for it. Headphones are made from different fabrics and materials. Keep in mind that you’ll be wearing them for hours so selecting a comfortable cushioning pad design is advisable. Leatherette creates a soft surface without irritating your skin. Some fabrics like velour are extremely soft and comfortable but might be too warm to wear for longer periods. Which one is the better option? The answer is neither. Both are good headphones for guitar amps. The selection you make will really depend on the type of sound you’re looking for. There are some benefits and drawbacks to both of these designs. Jamming on your guitar can provide hours of entertainment so why not look good while doing it? Your selection will obviously depend on your personal preference but a simple and sleek design will never go out of style. Black headphones don’t show dirt and marks as easily as lighter colors would, something you might want to consider as you’ll be putting them on and taking them off all the time. If you’re looking for something with extra class you can always select some gold detail on the black design. Don’t pay more for the style unless it will help create your personal style on stage or in the studio. You’ll be able to get modern, stylish options at affordable prices. Having a super long cord that’s not detachable can be frustrating for some musicians. Your cord is also more likely to get damaged if you can’t detach it. Detachable cords are overall a better option. While we’re on the topic of cables, if you can find an anti-tangle cord all the better. Have a look at this video to see how to connect your headphone cord to your amp correctly. The last thing you want to be worried about is a headphone that keeps falling off during practice. Some headphones might be too small in size and can be extremely uncomfortable to wear. You want to be able to focus on hitting all the right chords so select a headphone that can be adjusted and customized in terms of the fit. You don’t want gear taking your attention off your playing. Self-adjustable headphones work great to fit your head comfortably and automatically. If you were impressed with the AKG K 240 Monitor, you’ll love the AKG K 240 Studio. The AKG K 240 Studio is an improved version of the AKG K 240 Monitor. It offers you higher sensitivity than ever before with an even wider range. You can enjoy groundbreaking sound with the all-new XXL transducers. This headphone will be comfortable around your ear with the cushioning pads. You’ll appreciate the stylish design rounded off with gold detail. It’s a quality brand that can handle wear and tear thanks to the rugged design. This design even incorporates a self-adjusting headband for quick setup or sharing your headphones with others; everyone will feel comfortable. The Varimotion XXL capsule provides quality studio sound. The semi-open design may cause sound leakage. What is the overall size of the ear pad? With these high quality headphones you will be not be bothered by external distractions, thanks to these closed ear designed earphones you can continue to practice in almost any environment. You can travel anywhere with your headphones as it’s foldable and fits perfectly into a travel case. The rugged design is durable and the fitted earphone case makes it easy to travel without damaging your set. Does this headset have noise cancelling capabilities especially when there is no music playing? No. These headphones don’t have noise cancelling functions. Don’t you love it when manufacturers design easy-to-wear headphones? 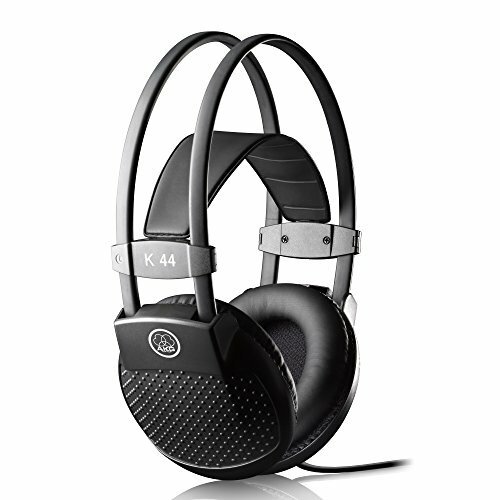 The AKG K 44 has a self-adjustable headband. The earphones offer ultimate comfort with leatherette earpads. This is a great option for anyone who’s looking for a great pair of headphones without spending a fortune. However, price does affect long-term quality. The design can feel and look cheap, especially the PVC cords. These headbands are not the best quality so you’ll have to handle them with care and caution. These headphones are sleek and stylish, and they’re designed to be durable and comfortable. 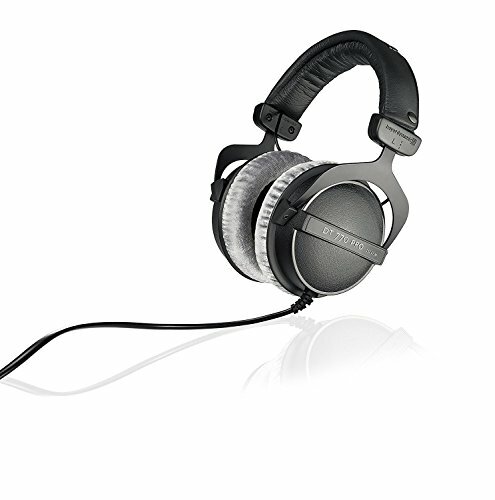 The Beyerdynamic DT 770 Headphones will offer you pure and high-quality sound. They also provide different functions relevant to different applications such as extremely impressive bass notes for certain genres of music. However, note that the material of the headphones and the closed design can cause your ears to heat up after a while; you won’t want to wear these all day. 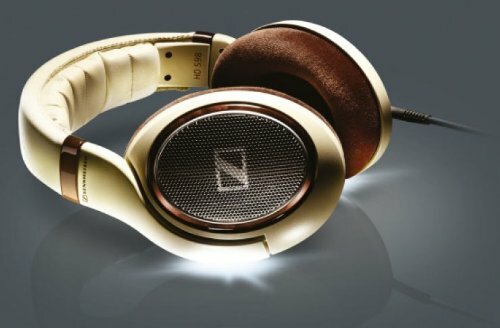 Are these headphones made in China like most other headphones? No. These headphones are made in Germany. Is there any sound leakage with these earphones? No. There might be some sound escape if you’re going to be using the headphones on the highest range. If you’re looking for a stylish pair of headphones, you’re at the right place. The high gloss wood and black mesh makes these headphones look classy and will have you feeling great while your in the zone. The gold-plated adapter ensures further detail to the design. Velour-covered ear cushions will be comfortable enough to wear even for hours on end. You get an in room listening experience due to E.A.R technology. However it’s not all good news as they can easily be too hot or no fit comfortably especially if your head is large. Will my ears only be partially covered? No. Your ears will still be covered completely. It won’t be touching your ears at all though. To round it up, if you’re looking for the best headphones for playing guitar, you should look for high-quality durable designs, that also offer comfort and style. Always have a look at guitar headphone amp reviews to make sure other musicians are satisfied with the product. Select a detachable cord if possible to make it easy to replace or move around. There is nothing worse than tearing off the cable of your favorite headphone, and not being able to fix them for days, if not weeks. Our No. 1 pick offers you all that and some extras. The AKG K240 STUDIO semi-open studio headphones are sleek and stylish. They will be comfortable to wear even, for long periods with cushioning pads. You’ll love the self-adjustable fit that makes it easy to wear. 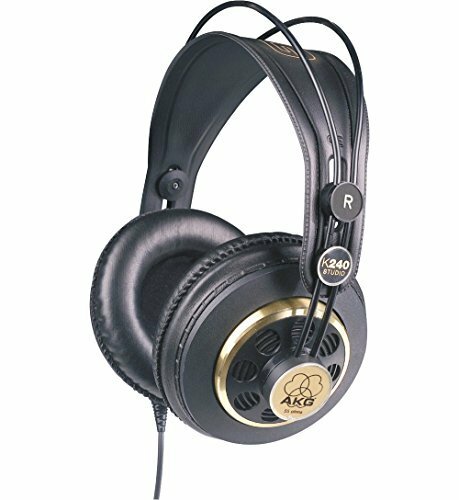 The AKG K240 STUDIO wins hands down and we can boldly say this is one of the best-rated headphones for guitar players in our opinion. Are you ready to take your guitar practice to the next level? Get your pair of headphones and reach for the sky!